This winter, five artists, working in a diverse range of media, from across Canada, joined the island community at Artscape Gibraltar Point to create new, participatory and, engaging artworks inspired by the the unique built, sonic, socio-cultural and environmental landscapes of the Toronto Islands, as part of the Third Annual Winter Island Artist Project Residency Series. 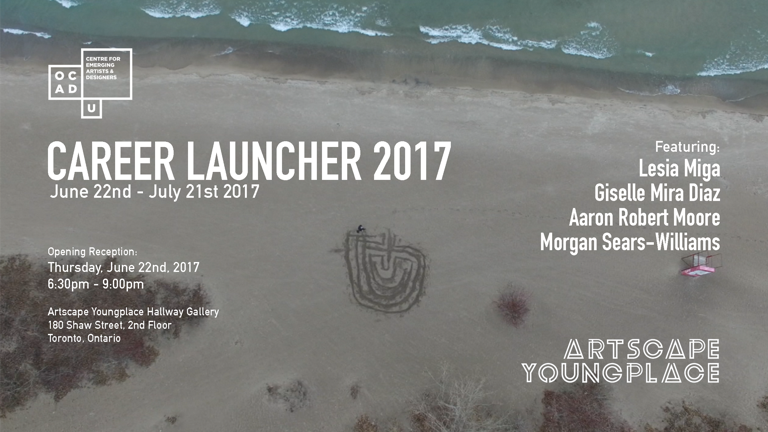 We invite you to experience for the first time, relive the memories of, and celebrate with all of us, what was an incredible four months of winter programming at Gibraltar point at the easily accessible, no ferry required, Artscape Young Place. 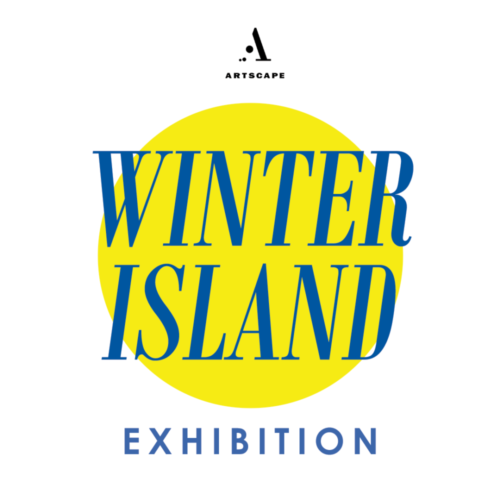 Artscape’s Winter Island program is a juried project-oriented residency that welcomes artists to Artscape Gibraltar Point on Toronto Island for one month to stay and work with other artist residents as well as local community members to produce new, interactive works. The Winter Island Artist Project Residency will begin accepting proposals for 2019 in September 2018. Look for the Call at www.artscapegibraltarpoint.ca. 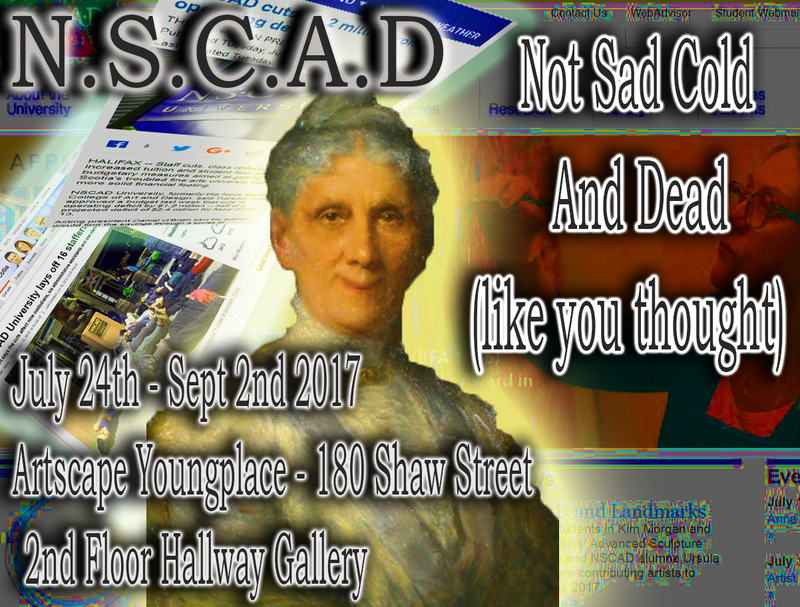 Nova Scotia College of Art and Design University, or NSCAD, an opportunity to showcase the work coming out of a school whose students continues to thrive under less than ideal circumstances. A university the size of NSCAD can take a lot of hits as the public eats up the drama in the death of an institution. While the administration peters around doing what it can to stop money leaking out of every crack and crevasse, we continue to see NSCAD students reacting to this environmental pressure and pressing on, creating work that has a distinct air of enthusiasm under what is now the fleeting passé that there’s not much happening east of Montréal. Over the last century plastic has taken over the planet. Our modern day living is easy, disposable, and plastic coated. The material under fire is labeled both a miracle and a curse, saving lives in the medical industry while causing havoc in our oceans. 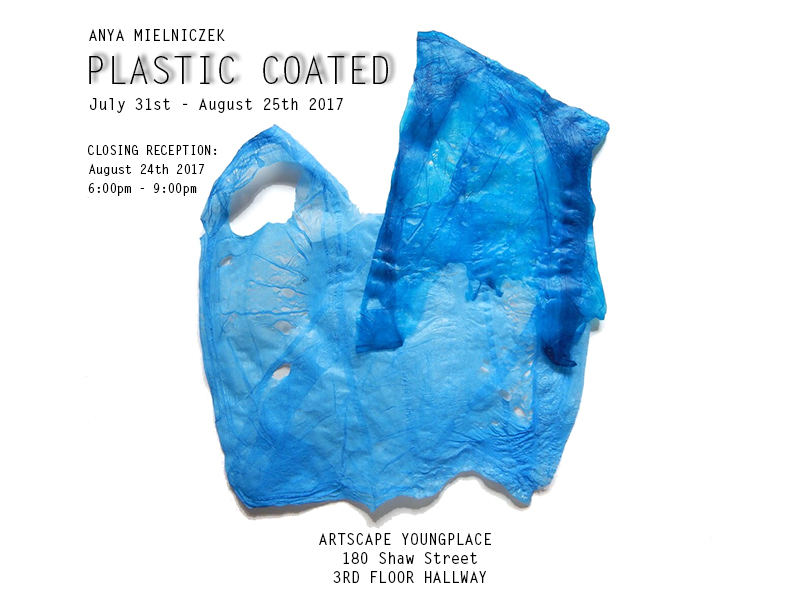 Plastic Coated is an exhibit by multidisciplinary artist Anya Mielniczek which explores garbage and plastic pollution through material collages that bring awareness to environmental degradation our consumeristic tendencies have. Mielniczek takes easily discarded materials such as plastic bags and candy wrappers adding value to what is otherwise considered trash. Inspired by waste and the treatment of our natural resources her pieces are emotionally charged, experimental and compiled of layers, textures, and the energy felt in unaltered lines. Decidedly forming a greater narrative pertinent to environmental change –informing herself as well as viewers, of the obstacles our finite world faces in light of our hyper consumption. Art Metropole is a not-for-profit organization focused on the distribution and contextualization of artist-initiated publication in any media, especially those formats and practices predisposed to sharing and circulation. It was founded in 1974 by the Artists’ Collective General Idea. Publication is a social space. 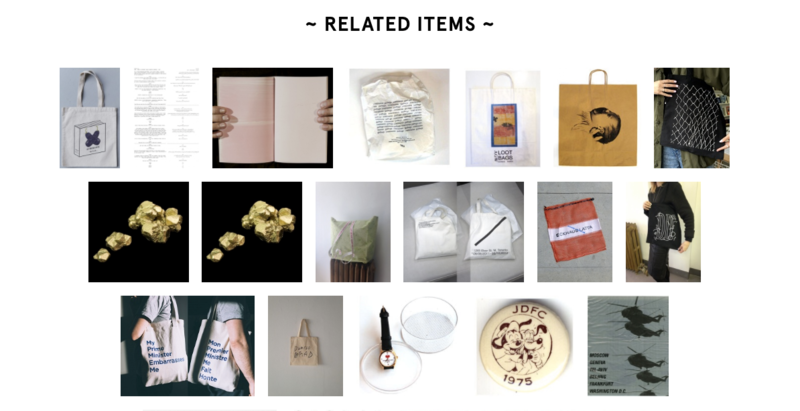 Through expanded conversation around artist publishing, AM aims to provide incentive for readers, ultimately creating new formats for the sharing of ideas, materials, and knowledge. For the Toronto Art Book Fair, AM has selected a series of multiples, prints, zines, and audio works that encourage participation around and through their format. AM’s booth will occupy the display, which will also host gastronomic editions, listening stations, areas for reading and resting, and more.